Playing a film backwards may be the oldest camera trick there is. 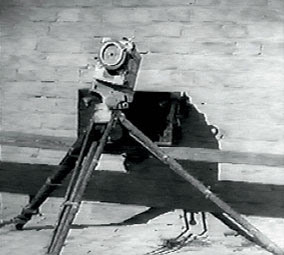 At least as old as 1896, when distributors of the Lumière short Démolition d'un mur (Demolition of a Wall) ran their film through projectors in reverse. The rubble rose from the ground, reconstituting itself before the workers like a stone golem, and the tent-going audience, I imagine, thought the world of it. Time-lapse photography is another old technique, also still around. Compressing hours, days or weeks into minutes or seconds always creates compelling footage, even if the thing being filmed is drab—remember all those flowers unfurling? All those moldering fruits? They remind us that even a seemingly static moment is one step in some progression of events—that we are, all of us, all the time, moving ahead. I’ve seen a lot of reversed camerawork, and a lot of time-lapsed footage, but I’ve rarely seen them combined. The only example that comes to mind is Some Assembly Required, a silent short by Toronto filmmaker and academic, Stan Krzyzanowski. Krzyzanowski’s film was a category-winner at this year’s Toronto Urban Film Festival (TUFF). 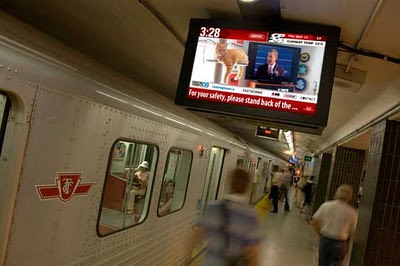 Like all TUFF films, it is a minute long, and originally ran in loops on the Toronto Transit Commission’s (TTC’s) platform-level information boards, operated by OneStop Media. The boards have no speakers, so any film shown on them must be silent. TUFF films can be about almost anything. This one, though, isn’t ‘about’ anything in particular. At least not deliberately, Krzyzanowski assured me; he makes a lot of films, and rarely with a meaning in mind. But Some Assembly Required begs interpretation of some sort. It’s the story, I guess, of two sentient trucks, using their multi-jointed arms to build a new tree in an urban residential neighborhood. Krzyzanowski’s camera-range (a longshot), and his choice to both compress time and run footage backwards makes Some Assembly Required feel more like a piece of surrealist animation than something documentary. The trucks, with their crane-arms, look like the real actors, while the tiny, scurrying humans appear to be their tools. 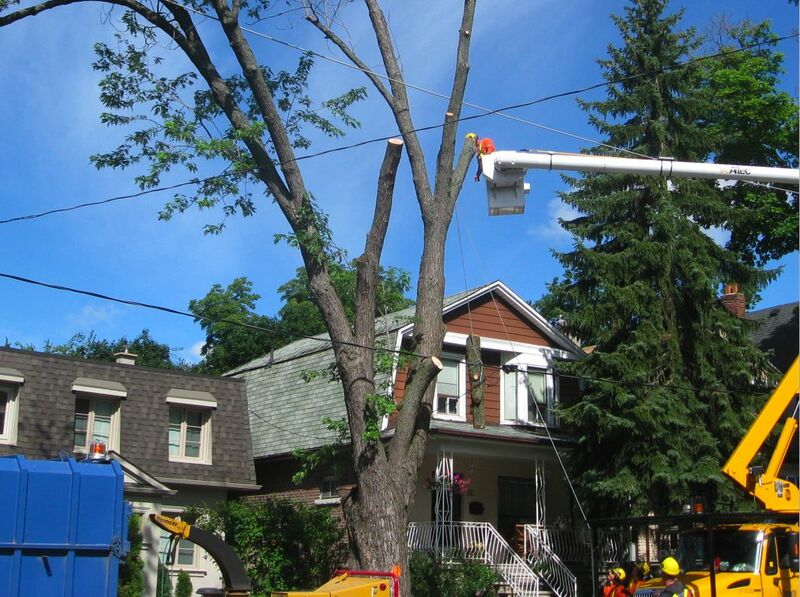 The truck on the right (carrying the man with the chainsaw) seems, to us, to be spray-painting tree branches on a canvas sky. Though the techniques behind them are different, these images reminded me of a scene in Vertov’s Man With A Movie Camera (1928). Like the dancing camera in that film, Krzyzanowski’s cranes are intentionally moved by unseen hands, but the result seems to transfer that intent to the machines themselves—imbuing them with a sense of purpose beyond the simple usefulness that all tools have. These machines not only do something; they try to do something. Played forward, without time lapsed, Some Assembly Required would be a four-hour record of a commonplace act of civic maintenance. 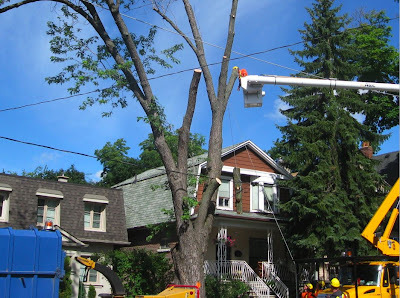 It might be useful, but it wouldn’t be interesting, except to those intrigued by the techniques of tree-felling (as many are), or to those concerned with how this particular tree was cut. It would be well-shot, but it would not be art. Played forward with time lapsed, we’d see the high-speed dispatch of a faltering life-form. The film might feel ruthless then, maybe tragic; it would be comic, but also a bit sad. And it would still be the record of people performing a necessary task—though the trucks’ arms would now move with the speed of a living thing, so the effect would be different. It would now be art, though not very inspired art. Only by combining the two cinematic tricks does Krzyzanowski give us something really cool to work with. It removes an everyday event from the everyday, encouraging us to reflect upon it. Here’s the lesson I took from that: While creating new life is easy, ‘building’ it is impossible. 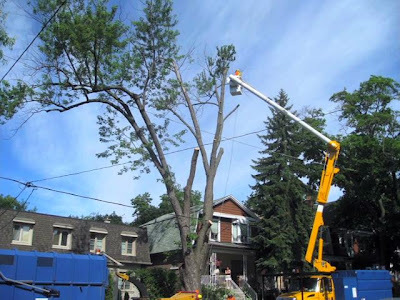 And if we’re apt to forget that, Some Assembly Required can remind us, by depicting the building of a tree that cannot be, with the tender-handed touch of a handless machine who has no such artistic dreams, except those we grant to it. An entirely silent version of Some Assembly Required can be found on TUFF’s website. Check out Stan Krzyzanowski’s website here.